Waffles. As every Parks and Recreation fan knows, they're the best thing in life. 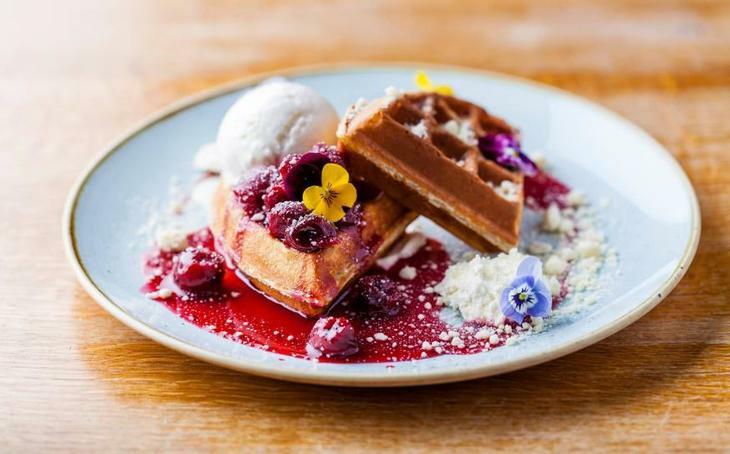 But with so ways to eat them, and so many places in London to choose from, where do you go to get your waffle on? 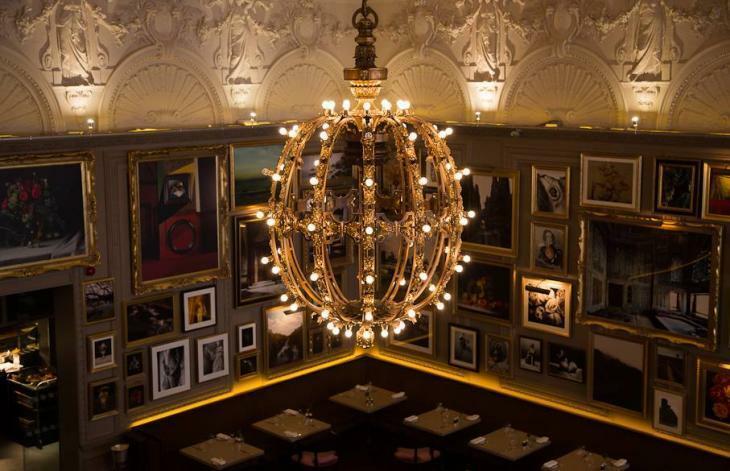 We've picked some of the finest examples in town. 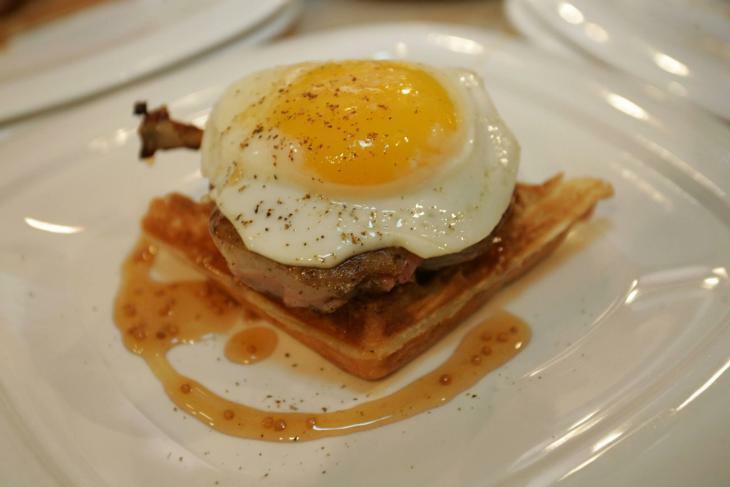 Fried chicken on waffles has become a definite thing in the last couple of years, and there are lots of places serving a variation on a theme. 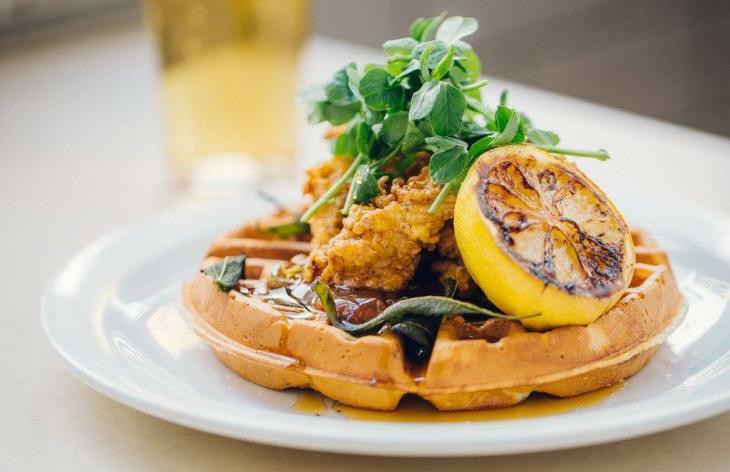 The Breakfast Club's comforting buttermilk chicken waffle. 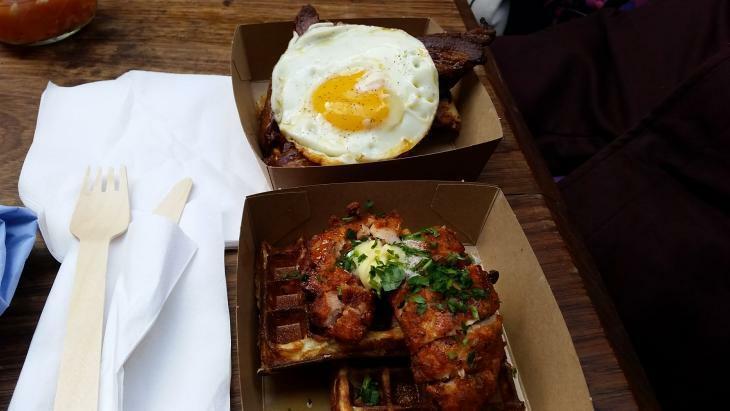 Chicken, and egg and bacon waffles from Waffle On. 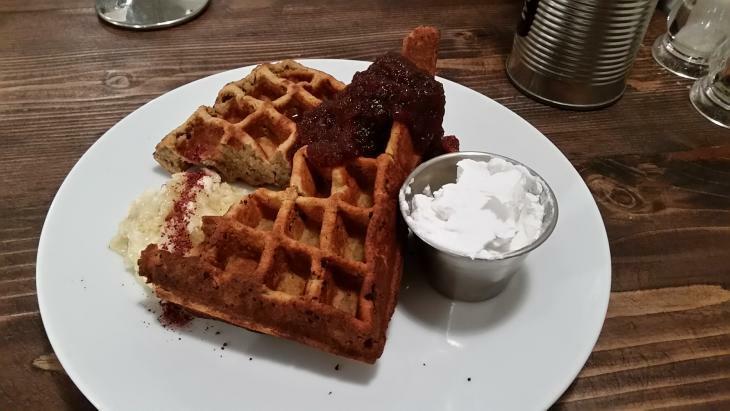 Just because you're eating waffles, it doesn't mean you have to be in some kitschy dessert bar or hipster joint. 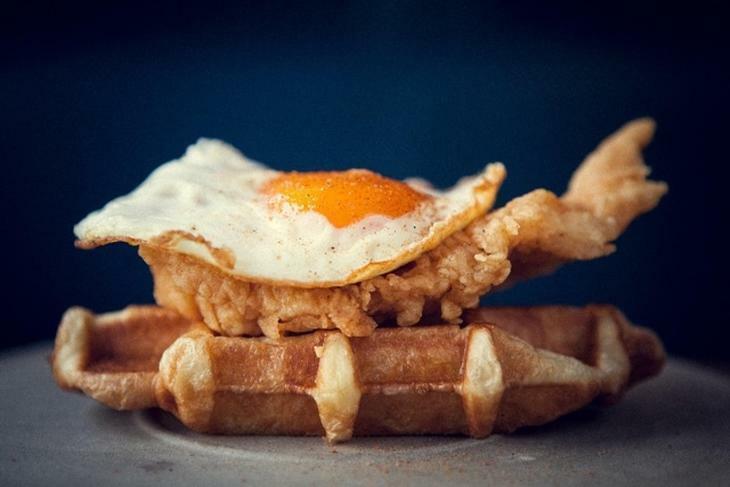 Waffles have reached the pinnacle of sophistication. The eponymous duck and waffle. 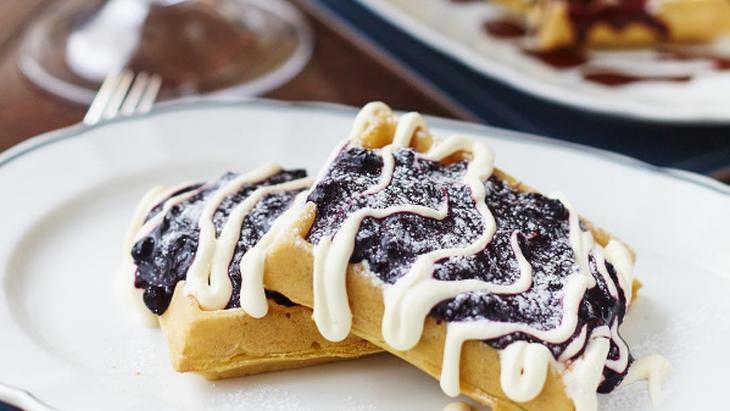 Taking you straight back to childhood, these are waffles to satisfy a sugar craving. 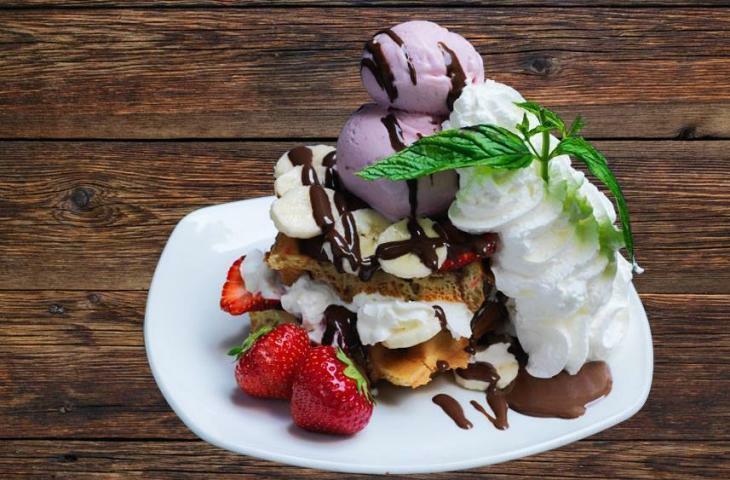 You can also get waffles at many gelaterias and dessert bars — try one of the various Snowflake, Scoop or Amorino stores, or Kula Cafe on James Street for waffles that border on freakshake proportions. Gluten free waffles from The Good Life. 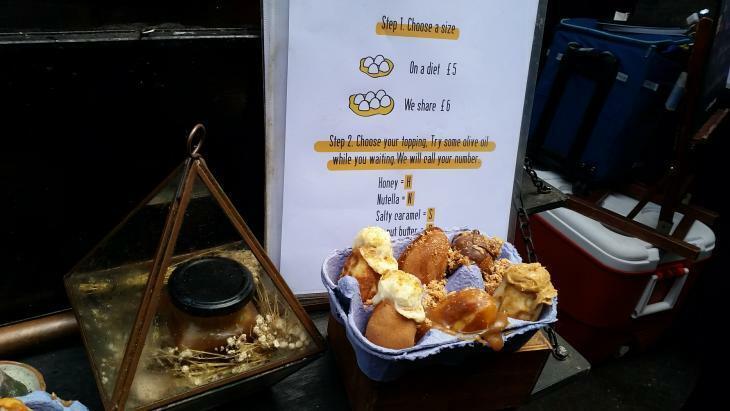 You can also request a gluten free option at Duck and Waffle.